Evanston Mayor Elizabeth Tisdahl speaks during a town hall meeting. Tisdahl urged aldermen to reaffirm Evanston's status as a sanctuary city after the election of Donald Trump earlier this month. Aldermen introduced on Monday a “welcoming city” ordinance prohibiting Evanston employees from asking a resident’s immigration status unless required by state law or state court. Under the resolution, police are also prohibited from holding undocumented immigrants for federal authorities in most cases, and city employees cannot threaten to deport a resident or a resident’s family member based on perceived immigration status. The vote for introduction came at the request of Mayor Elizabeth Tisdahl, who was looking to clarify Evanston’s sanctuary city status after the election of Donald Trump earlier this month. 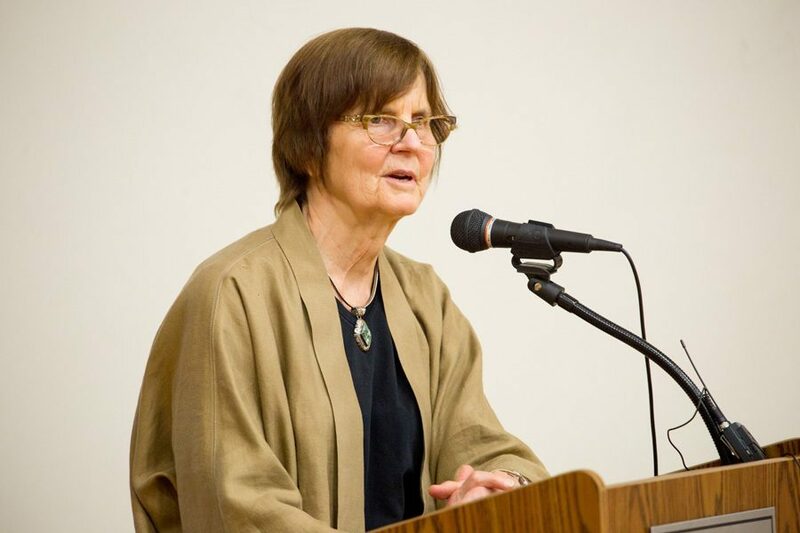 Tisdahl advocated for reaffirming Evanston’s status as an immigrant-friendly city in response to Trump’s threats to cut federal funding to sanctuary cities. The ordinance also says police cannot arrest someone solely because they are perceived to have violated immigration laws, except for in a few cases: for example, if the resident has been convicted of a felony or is a known gang member. At a council meeting earlier this month, city officials and aldermen discussed expanding protections for undocumented immigrants. At the time, city manager Wally Bobkiewicz said although there are multiple definitions of “sanctuary city,” he believes Evanston does classify as one. Sanctuary cities typically have local laws prohibiting police and government workers from inquiring about a resident’s immigration status. The ordinance uses the words “welcoming city” instead of “sanctuary city” because the word “sanctuary” implied residents were hiding and in fear, Ald. Donald Wilson (4th) said at the council meeting. In a public comment session that lasted about 45 minutes, residents mostly voiced support for the ordinance. Weinberg senior Fatima Gomez, who attended the meeting, said aldermen should approve the resolution to send a message to Northwestern speakers and students that they are accepted in Evanston. Evanston resident Jacqueline Bermack said using local police to investigate and aid immigration investigations would be an overreach of power and that it would be more appropriate to leave immigration issues to the federal government. Wilson said the city should be focusing on educational inequality and other local issues, not deporting residents. Wilson described the ordinance as one step toward making the city safer for immigrants in light of the presidential election and concerns of deportation. Correction: A previous version of this article stated the “welcoming city” ordinance was passed at the City Council meeting on Nov. 28. The ordinance was only introduced at that meeting and was then approved at the council meeting on Dec. 12. The Daily regrets the error.